More than a year since its last upgrade, the HERO5 Black from GoPro (to some surprise) has no improvement in resolution or frame rate. That’s OK, because the countless upgrades to functionality prove GoPro is still the leader in the action-cam space. We got the HERO5 Black shortly before its retail release and tested it over three days for this review. This is our initial takeaway with comments on the upgraded and new features. 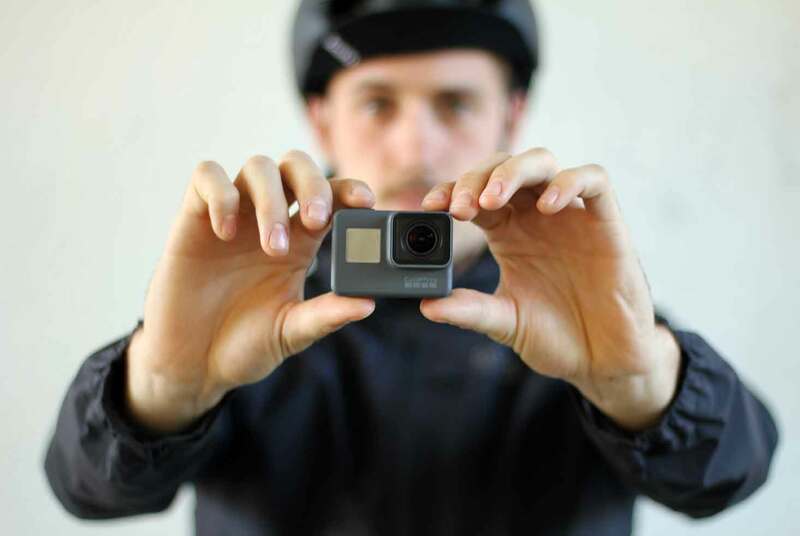 GoPro released its latest line of cameras on Oct. 2. The most noteworthy changes are in the user experience. The camera still shoots 4K resolution at 30 fps, and there are no improvements to video resolution or shooting modes. However, advances in its housing, stabilization, audio, and ease of use make this camera stand out. We took the GoPro HERO5 Black and the HERO5 Session out this past weekend for some mountain biking and rock climbing to see what all the hype was about. In short, whereas with older GoPros there is a bit of a learning curve, this one is crazy easy to use. It allows you to focus on your sport, and not the camera. You can even control it with your voice — no need for buttons for basic commands. Controlling the camera was straightforward. It has just two buttons, and both have multiple uses. Once turned on, it takes a few moments to set up the camera for your intended use. After that, it largely boils down to pushing the start-stop button and using voice controls (more on this below) to adjust your shooting. One example of this nuance: To select a shooting mode you pick either video resolution or frame rate, and if you select 2.7K resolution, all of the usable frame rates for 2.7K will be highlighted. If you want 120fps, only 1080p and lower are selectable to that frame rate. This change makes it obvious to know what video resolutions are compatible to which frame rates and vice-versa. The answer is yes, but the video is so much more stable. The HERO5 Black can stabilize all shooting modes aside from 4K, or fps higher than 60.This feature can be turned off. We noticed it most when mountain biking. Once a hard to watch bumpy ride becomes pleasant footage. Note: The above video is unedited. The stabilization shown here is completely separate of the gimbal, or Karma Grip, available October 23. “Record video,” “take burst photo,” and “take time-lapse” are some of the 10 voice command options to operate your GoPro hands-free. Commands are also compatible with 7 languages. I’ve struggled to take off gloves to adjust a camera while snowboarding, but now problems like this are in the past. The idea is to limit the interaction between yourself and the GoPro, so your adrenaline-filled adventures can be experienced to their fullest and without fumbling with a camera. The microphones picked up on my voice easily enough, although I had to repeat myself for several commands. While most commands may occur during still moments, screaming for the GoPro to start recording as the wind is blowing violently is less certain. We had no problems with it stopping recording unexpectedly. Unfortunately, we’ll have to wait for the next model for more personal GoPro responses, “How are you?” or “Do you love me?” evoked nothing. Is it even listening to me? The new camera body is sold as “durable” and waterproof up to 33 feet. Whether you need additional shockproof housing for hard falls has yet to be tested. The camera and, most importantly, the glass lens did stand up to scuffs and hits while rock climbing and a few bike crashes. 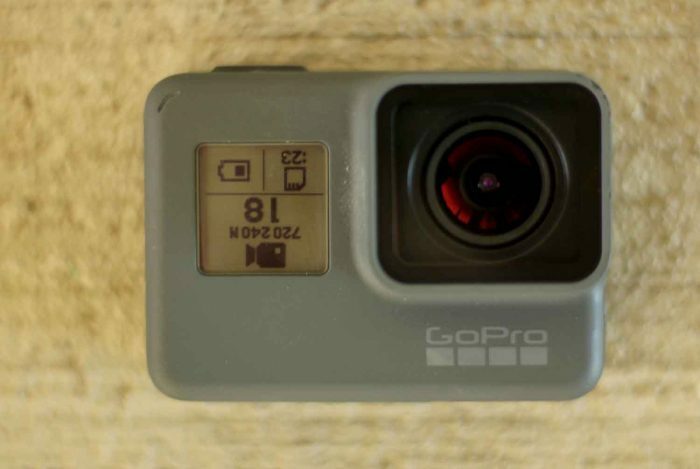 Perhaps the least noteworthy area of the new GoPro, the HERO5 Black carried over the same sensor and video shooting modes as the HERO4 Black. Improvements to video quality would have been nice, but the resolution and frame rate are acceptable. All of the other upgrades set this camera apart. The details with the latest GoPro are seemingly endless. Users will be happy to find improved sound with the use of stereo audio, GPS functionality to track where your footage was taken, and the ability to shoot Raw WDR photos. The HERO5 Black comes in at $399 and should be the first camera to consider when interested in recording your point of view from an incredibly small camera. 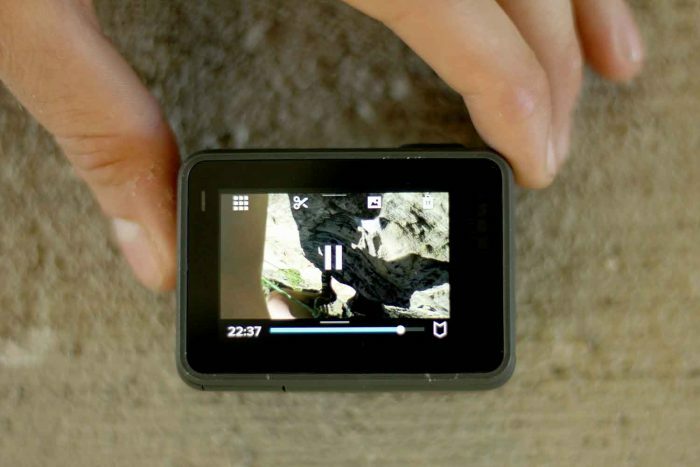 We’ll be testing it out in greater detail over the coming months, so expect more ultra-gnarly mountain bike footage. 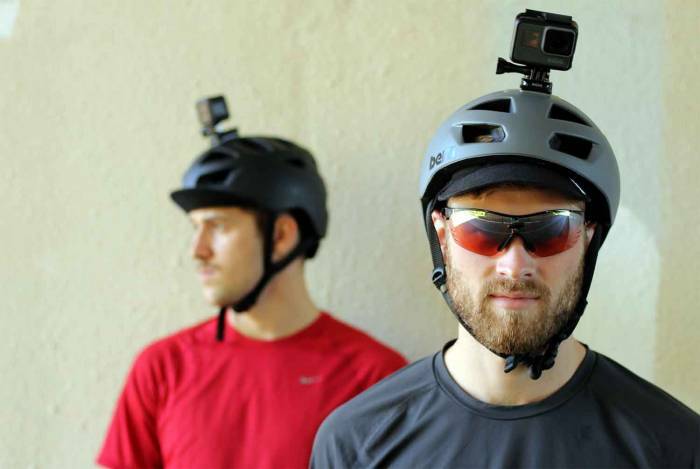 Stay tuned for comprehensive coverage, and what GoPro does next.